Apple has a bionic chip for advanced AI in its new phone. 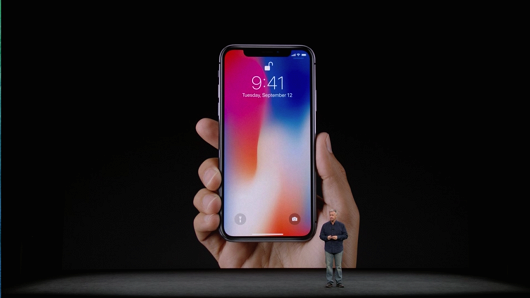 The new iPhone X was announced today, and for many Apple fans, this has been one of the most significant announcements the company has delivered in a long while. New generations of iPhone have always accommodated slightly better hardware, bringing moderately upgraded capabilities like faster processors and better cameras. However, for the first time, Apple has created its own graphics processing unit (GPU) to help it soar above the competition, along with its super fast new A11 bionic 6-core processing chip. This pairing is going to revolutionize smartphones by bringing machine learning capabilities to the palm of your hand. Such developments are going to greatly assist the optimization of Apple’s longstanding “intelligent assistant,” Siri. Apple has been building an ecosystem for Siri to inhabit across platforms—in devices ranging from smartphones and tablets, to home devices like the upcoming Apple HomePod. And now, Siri will have the power to learn, making the platform better for all users. So look out, Alexa, Siri may have just been given the hardware to dominate the battle for smart assistant supremacy. The inclusion of their own GPU is also going to be a huge boost for augmented reality applications and development, not to mention battery life. CNBC speculates that having a specialized chip on board will give the main chip less work, thus improving battery life. To help move augmented reality applications, iOS 11 will come equipped with the ARKit framework to create apps that can recognize their environment and place digital objects into them. These chips will ensure that both developers and users have the power to make and run these impressive applications. This all boils down to the new iPhone X being one of the most significant upgrades in the history of the line. Developers will have some impressive tools to create previously impossible smartphone capabilities.